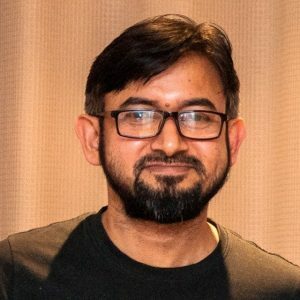 Dr. Razzaque is a computer scientist with more than 11 years of teaching and research experience in different fields of computer science, including wireless and mobile computing and communications, cyber security, cloud computing, and big data analytics. His current research activities are centered in the fields of Internet of Things (IoT) in smart cities and healthcare, privacy and security in IoT, data preprocessing for analysis. He has authored 58 peer-reviewed publications, and has served as a regular reviewer for reputed international journals and conferences. He received B.Sc. degree in applied physics, the M.Sc. degree in electronics and communication engineering, and the PhD degree in computer science. He is a member of the IEEE, IEEE Vehicular Technology Society, the IEEE Computer Society, and the Association for Computing Machinery. Dr. Razzaque is a Senior Research Fellow, School of Computer Science and Statistics at Trinity College, Dublin, Ireland.